Oakland Hills is an easy drive to unspoiled Englewood Beach where the sunsets are incredible. The Oakland Hills neighborhood of Rotonda West was the earliest section to be developed. Located at “8 o’clock” on the rotonda, the southwest section, Oakland Hills is built around the Hills Golf Course. This 18-hole course features 6,304 yards of golf from the longest tees for a par of 72. The course rating is 70.3 and it has a slope rating of 126 on Bermuda grass. Designed by Jim Petrides, the Hills opened in 1989. Homes in Oakland Hills vary in age and size, but many of homes were built before 1980. There is also a nice selection of affordable condos in Oakland Hills on outer belt, Boundary Boulevard. 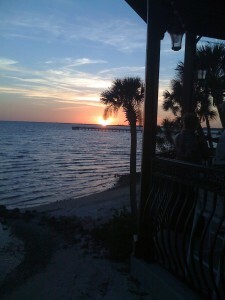 Oakland Hills is an easy drive to unspoiled Englewood Beach where the sunsets are incredible. Below is our convenient search for where you can create your own reports of homes for sale in Oakland Hills, using specific criteria such as size, price range, etc.